The BISCO Terrebonne group has been active in the community since 2005. Our Leaders come from various faiths and denominations and represent citizens in their communities. Ever since the hurricanes of 2005 and 2007, the Terrebonne group has been working on various hurricane-related issues, especially housing. Many of our Leaders have been directly affected by these storms and work to address the lack of affordable housing in the area. Coastal Land Loss has also been one of our leading issues and this was before the storms of the last five years and the oil disaster of last year. Home Owners Insurance has become a very involved issue as we began to work on a tri state level with associates from Missippi and Alabama. Poverty, and Homelessness continue to exist in our communities and is an issue close to our hearts. The BISCO Jr. group addresses issues of Youth Development. Oil Disaster: assisting families affected by the oil spill has taken up much of our time over the last year. It continues to be an issue that many families are dealing with on a daily basis. 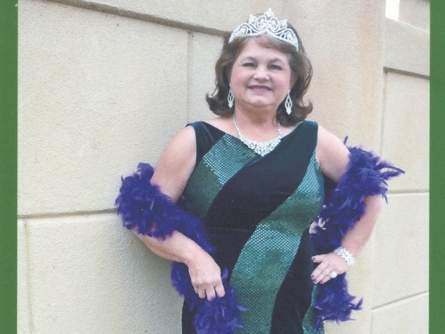 MS.GLORIA DARCEY Gloria Darcey was chosen as Terrebonne Council on Aging’s Shady Acres Senior Center’s queen for Mardi Gras. A Mardi Gras social was held Feb. 1 at the Houma-Terrebonne Civic Center. The social included food, a band and entertainment. A Mardi Gras party was held Feb. 5 at Shady Acres with cake and a band.